All Saints in Skelton was built in 1785 by John Hall-Stevenson although it incorporates parts of an older church on the site which it replaced. The church became redundant in 1884 when the new church was constructed on the High Street where the font and one of the bells were moved to. Inside there is an interesting memorial to the Trotter Family of Skelton Castle, giving a short family history of John Trotter who died in 1701 and his wife Elizabeth who dies in 1726. Also John Calvert from 1705 who its recorded left money to provide for the poor in Moorsholm. 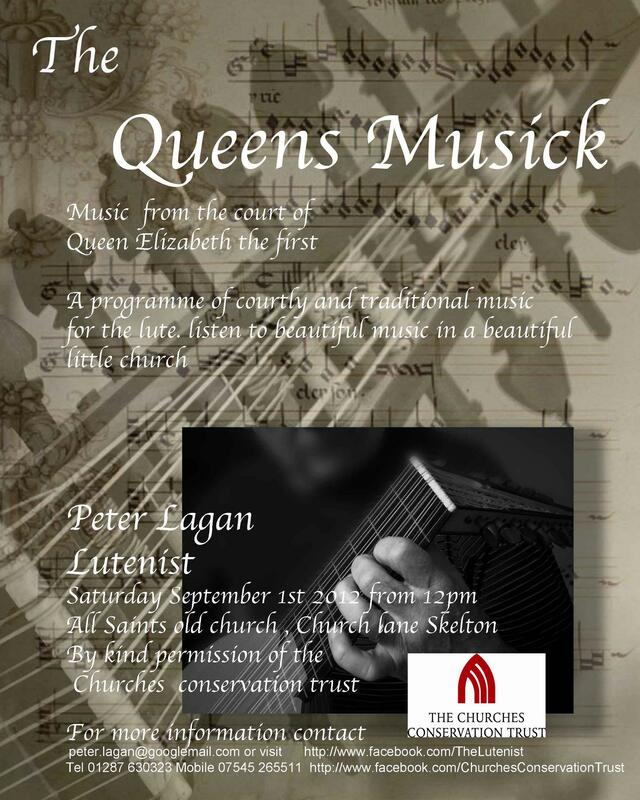 Lutenist Peter Lagan will be playing for visitors to the church from 12pm on Saturday 1st September 2012. This entry was posted in Religion, Skelton by chris.twigg. Bookmark the permalink.